Welcome to our live discussion thread of the Sunday morning session of the 184th General Conference of the Church of Jesus Christ of Latter-day Saints. Today, Brian Whitney will be reporting on the proceedings for Approaching Justice live from the Conference Center. We will be updating highlights from the session speakers here in the main post. President Henry B. Eyring conducting. Perhaps focusing on what we are grateful for is the wrong approach. It s easy to be grateful for things when life seems to be going our way. But what of those times when what we wish for seems out of reach? I’m suggesting . . . we focus on being ‘thankful in our circumstances’ – whatever they may be. We sometimes think that being grateful is what we do after our problems are solved, but how terribly shortsighted that is. There seems to be something inside of us that resists endings. . . . Endings are not our destiny. [Gratitude] inspires humility and fosters empathy toward our fellowmen and all of God’s creation. Gratitude is a catalyst to all Christie attributes! The second message I feel I should follow up on was delivered just last General Conference when I encouraged members to pray to be led to at least one person to whom they could extend an invitation to learn about the restored gospel. Inviting is certainly part of the process. But notice that there is much more to missionary work for members than simply extending invitations . . . it also includes follow up. We can all be more consistently involved in missionary work by replacing our fear with real faith, inviting someone at least once a quarter – four times every year – to be taught by the full-time missionaries. Obtain a copy of Preach my Gospel. . . . Read it, study it, then apply what you learn. If we follow p, the Lord will not let us down. Few feelings compare with the tender emotions of becoming a parent. . . . And so it is for all of God’s children. Our Father in Heaven reaches out for each us with love we don’t fully comprehend. His answers aren’t always . . . immediate and clear. But truly our Father knows us and hears the pleading of our hears. He accomplishes His miracles one prayer at a time, one person at a time. We can trust that He will help us, not necessarily in the way we want but in the way that will best help us to grow. The gospel of Jesus Christ is not a checklist of things to be done; rather, it can live in our hearts. The gospel is not a weight; it is wings. Wherever we find ourselves on the path of discipleship, whatever our worries and challenges may be . . . we can choose to reach for God’s hand in our need. Directing my thought to young men, young women, and young single adults – you who are in your critical years. . . I feel a great sense of urgency in addressing you. You are an eternal being. Before you were born you existed as a spirit. In the presence of a loving Heavenly Father, you trained and prepared to come to earth for a brief moment, and , well, perform. This life is your four minutes. Check points . . . move us through our spiritual performance on earth. These spiritual markers are the essential God-given ordinances of the gospel: baptism, receiving the Holy Ghost, priesthood ordination, temple ordinances, and partaking of the sacrament each week. Daily prayer, scripture study, and church attendance must be the foundation of your training. Stop thinking that, an never think it again. The miracle of the Atonement can make up for imperfections in our performance. You’ve prepared for this for millennia. This is your moment to perform. This is your four minutes! The time is now! Each of us . . . carries a load. Our individual load is comprised of demands and opportunities, obligations and privileges, afflictions and blessings, and options and constraints. Sometimes we mistakenly may believe that happiness is the absence of a load. But bearing a load is a necessary and essential part of the plan of happiness. Consider the Lord’s uniquely individual invitation to “take my yoke upon you.” Making and keeping sacred covenants yokes us to and with the Lord Jesus Christ. In essence, the Savior is beckoning us to rely upon and pull together with Him, even though our best efforts are not equal to and cannot be compared with His. Not only does the Atonement of Jesus Christ overcome the effects of the Fall of Adam and make possible the remission of our individual sins and transgressions, but His Atonement also enables us to do good and become better in way that stretch far beyond our mortal capacities. It is one thing to know that Jesus Christ came to earth to die for us. But we also need to appreciate that the Lord desires . . . to enliven us – not only to guide but also strengthen and heal us. There is no physical pain, no spiritual wound, no anguish of soul or heartache, no infirmity or weakness . . . that the Savior did not experience first. We may cry out, “No one knows what it is lie. No one understands.” But the Son of God perfectly knows and understands. The unique burdens in each of our lives help us to rely upon the merits, mercy, and grace of the Holy Messiah. We . . . will pray for the strength to learn from, change, or accept our circumstances rather than praying relentlessly for God to change our circumstances according to our will. We know from revelation that April 6 was the actual birthday of Christ. We cannot truly love God if we do not love our fellow travelers on this mortal journey. Likewise, we cannot fully love our fellow men if we do not love God, the Father of us all. Love is the very essence of the gospel and Jesus Christ is our Exemplar. Attributes which are the manifestations of love: kindness, patience, selflessness, understanding, and forgiveness. In all our associations, these and other such attributes will help make evident the love in our hearts. Some of our greatest opportunities to demonstrate our love will be within the walls of our own homes. Love should be the very heart of family life, and yet ofttimes it is not. There can be too much impatience, too much arguing, too many fights, too many tears. Let us not demean or belittle. Rather, let us be compassionate and encouraging. Blame keeps wounds open. Only forgiveness heals. May we begin now, this very day, to express love to all of God’s children, whether they be our family members, our friends, mere acquaintances, or total strangers. Holy Crap! I just saw Alan Keyes on a BYUTV commercial. Not buying that book. Brian and Kirk…it is an MSH reunion! He is manning the main post above…from the Conference Center! Isn’t everything glitchy in Alaska? Uchtdorf up first. He should go last. She was the first women to ever pray in General Conference. All commandments will bring blessings, even the commandment to be grateful. So don’t count our many blessings? Uchtdorf going against the grain here! I think I know why this guy wasn’t happy. Too many carbs. Saw that line coming, but it was still fun. Of course–our problems are never solved, just substituted for a new set . . Being grateful is an act of faith in God. That is powerful! Hoping for things we may not see, but which are true. Different strain–but same theme as doubt your doubts . . This is some pretty deep doctrine. There are no real endings, but permanent beginnings. I was slow at follow-up…took me a whole month to ask her out on a 2nd date. 15 years later…. Really–“Mormons” as an inappropriate designation. They’re taking time in General Conference to talk about this? Surprising, actually . . .
It’s (IMO unfortunately) not infrequent. For some reason this story of Peter and John is my favorite in the NT. So much meaning in just extending a hand. At least it was just a brief, minimal part of the address. The rest seems to go much more along the lines of teaching pure religion (or at least teaching how to teach pure religion, which is also necessary). Did he say Preach my Gospel was free online? For some reason I was thinking he meant it is free if you order it online. Forgot how much “free material” is available on lds.org and the Gospel App. I think, as the Church has been doing more and more recently, having missionaries perform service in communities is a more effective way of performing missionary work. I am fine being called a Mormon, in fact, I embrace it. Me too. It’s interesting that, listening to general conference addresses over the past several decades, there’s a real and public difference of opinion on this issue among the highest leadership of the church. I have been called worse. 🙂 I think they just want us to emphasize the full name of the church. I am cool with that. Ah! There’s an initial on her name in the caption! All is right again with the universe now. Really interesting body language—it makes it rather more personal, i think. That story reminded Shem (12) of a similar scene from the Blindside. 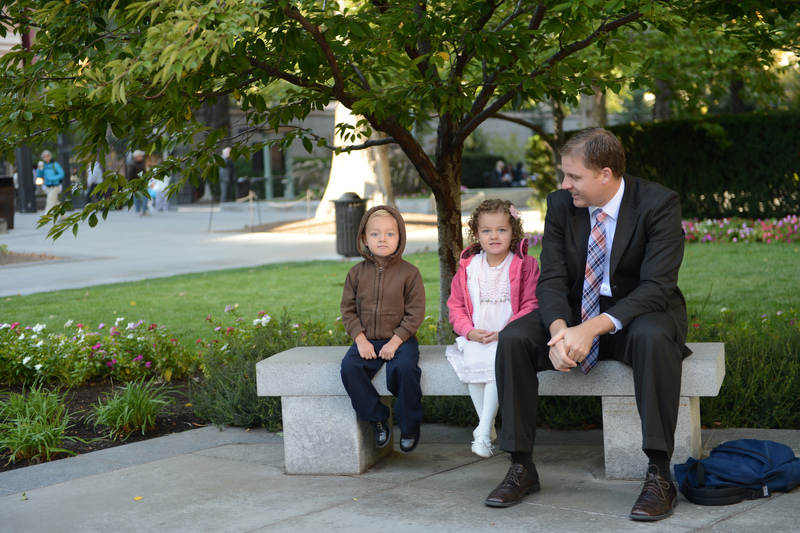 Ballard announces that the ‘I’m a Mormon’ campaign will be replaced with the ‘I’m a Mormon Meaning That I’m a Member of the Church of Jesus Christ of Latter-day Saints’ campaign. It’s important to do this because being a Christian means to use the name of deity over and over again. In other news, we will no longer use ‘Melchizedek’ when referring to the higher priesthood to avoid avoiding vain repetitions of the Supreme Being. The Gospel….it gives you WINNNNGGGGSSS! Oh thank goodness. I thought he was going to start talking about Ukraine. Will you be wearing a purple tie? . . . I realize it reaches people in very deep ways, so i don’t resent it (like i used to), but analogizing life to sport leaves me nothing but cold. Bishop Stevenson has to be the hippest GC speaker yet. A backside rodeo 720. I was just having this same conversation with my wife this week. He eventually got the truck…you? The parable of the pick-up truck. This is a rather Aristotelian conception of happiness. Believing that we must carry our own loads alone through sheer grit and willpower stems from a misunderstanding of the atonement. I like that. Agents rather than objects attacked upon. Elder Bednar’s catch phrase. They better not put that in the hymn book that’s all I have to say. Is it in the primary book? Anyways, what are you referring to? Oh, just saw Guy’s link. The Church of Jesus Christ of Latter-day Saints has taken no official position on the exact date of Christ’s birth . . .
Ah, yes–the inquiring “lawyer” . . . He that loves God, loves his brother and sister–including those of OW? . . .
You wouldn’t know it to read commentary and reactions from Mormonism’s orthodoxy . . .
You don’t really see these types of corporate charity very much anymore. Exactly the orthodoxy of which I speak . . .